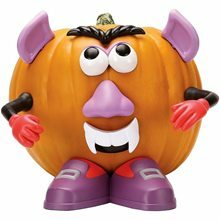 Color Changing Spooky Pumpkin;This Spooky Pumpkin is 4" tall and made of soft plastic. 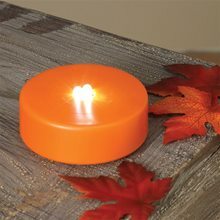 When turned on, the lights in the pumpkin change colors. 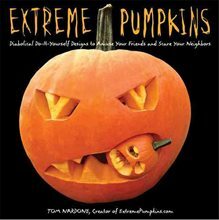 Extreme Pumpkin Carving Book.Includes: One Extreme Pumpkin Carving Book. Dimensions: Depth: 0.5", Width: 8", Height: 8". Number of Pages: 96 Pages. Author: Nardone, Tom. Publication Date: 2007/09/04. Binding Type: Paperback. Language: English . *Pumpkin and Carving Accessories Not Included. Sold Separately. 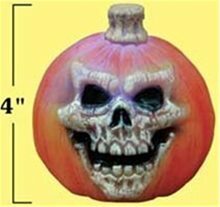 Based on his popular and addictive website ExtremePumpkins.com, Tom Nardone has created a full-color guide to pumpkin carving that's truly frightening. 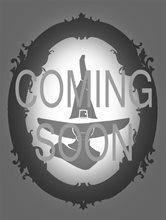 Featuring the website's signature Puking Pumpkin, and spanning everything from Drowning Pumpkin, Crime Scene Pumpkin, and Cannibal Pumpkin to Electrocuted Pumpkin and other never-before-seen designs, this gleefully gory guide is nothing short of a manifesto to take back Halloween from the cheerful, the cutesy, and the parent-sanctioned. For the egg-throwing, toilet tissue- streaming, window-soaping teenager in all of us, finally- a whole new way to celebrate October 31. 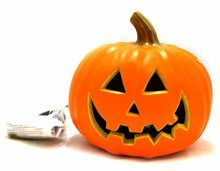 Kids Pumpkin Decorating Kit.Includes: One 12pc Kids Pumpkin Decorating Kit. *Costume and Accessories Not Included. Sold Separately. 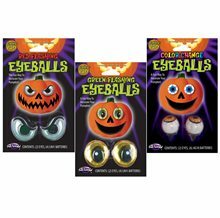 Complete your Halloween with this awesome Kids Pumpkin Decorating Kit! It's a great way to get the family together. 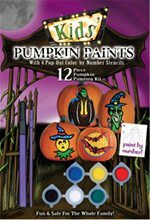 Kids Pumpkin Paints.Includes: One 12pc Pumpkin Painting Kit. *Pumpkin and Accessories Not Included. Sold Separately. 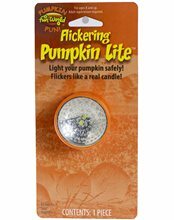 Complete your pumpkin decor with this awesome 12pc Pumpkin Painting Kit! Marvel Heroes Pumpkin Carving Kit.Includes: One punch, small saw, scoop, 6 patterns and 1 bonus pattern. *Pumpkin and Accessories Not Included. Sold Separately. 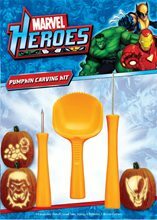 This Marvel Heroes Pumpkin Carving Kit includes punch, small saw, scoop, 6 patterns, and 1 bonus pattern! Perfect for any Marvel themed Halloween.